Don't waste your time & risk viruses dealing with SPAM. Get SPAM Protect today! 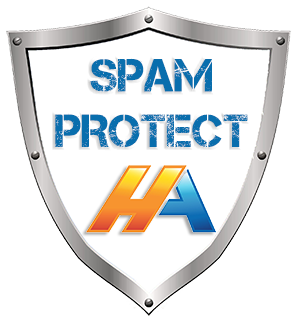 Stop SPAM dead in it's tracks with the Powerful SPAM Protect Product Range. 99.98% Accuracy when filtering Malware and SPAM. Meaning an unbeatable 0.0001% rate of false SPAM Identification. Save your business money and time and reduce the chances of a deadly virus infection on your Network. Filtering Pre-Server - Reduce Bandwidth and Disk Space Usage. Filtering of - Virus, SPAM, Phishing, Malware. Online/Cloud Mail ServicesOnline Mail Services - This means the service is suitable for filtering of email hosting via Hosting-Australia.com, Office 365 or most other Hosting providers. Onsite Mail ServersOnsite Mail Servers: If you operate an onsite mail server, such as a Microsoft Small Business server, SPAMProtect can also offer you filtering solution. cPanel Integrated User InterfacecPanel Integrated User Interface: If you are hosting with Hosting-Australia.com, SPAMProtect will be accessible directly from your primary cPanel account. Quick and Easy. 99.9% Accuracy99.9% Accurate: Deadly accurate, SPAMProtect filtering means virtually no SPAM and even better news, virtually no false positives. Meaning very little of the mail you want, gets mistakenly filtered. Virus, Phishing & Malware ScansVirus, Phishing & Malware Scans: Keep your devices safe and secure...and minimise the chance of a dangerous and costly Virus or Malware outbreak by having SPAMProtect filter the nasties from your incoming mail. Quarantine & ReportingQuarantine & Reporting: SPAMProtect offers a comprehensive log-search tool with advanced quarantine options, to check the status of any email which passed through the filter.